Towards the end of august , I bought me some supplies of fabric for future use. 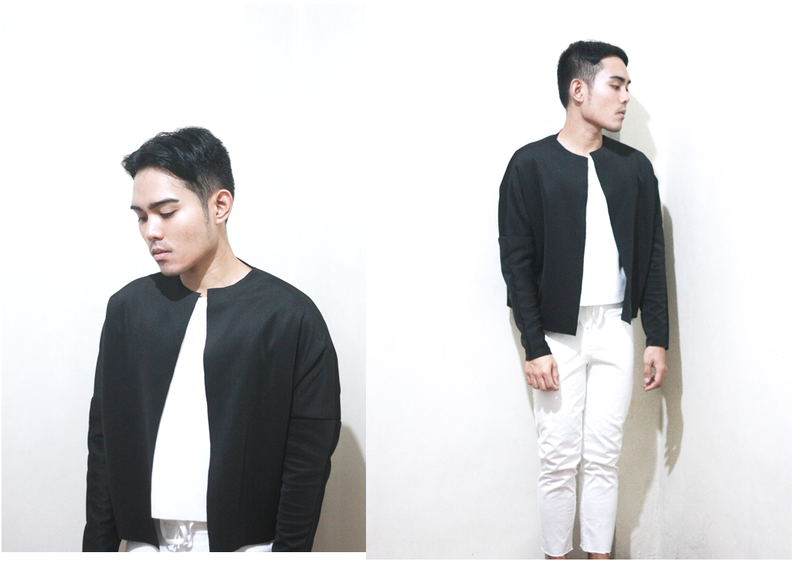 larrend and i are planning to create a wardrobe of minimal tops consisting of sweaters, big boxy shirts and cover ups. I realize that ive been stocking up fabrics more than i am utilizing them then one day i said why not start cutting the fabric for a sweater. 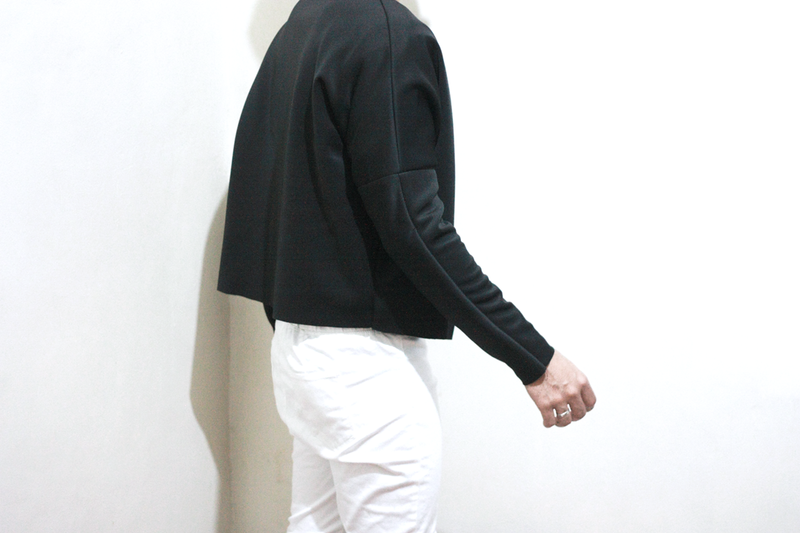 I've been mentally designjng pieces and the more I stayed on designing, the more i delayed the creating process. The issue of being and doing slapped right in front of me. So i grabbed my scissors and a colored pencil and started on with this black scuba. It's a simple sweater that i turned into a cover up. I cut open the front bodice so it would be a cover up slash bomber jacket and because cover ups are key items hence you can pretty much maximize its use. 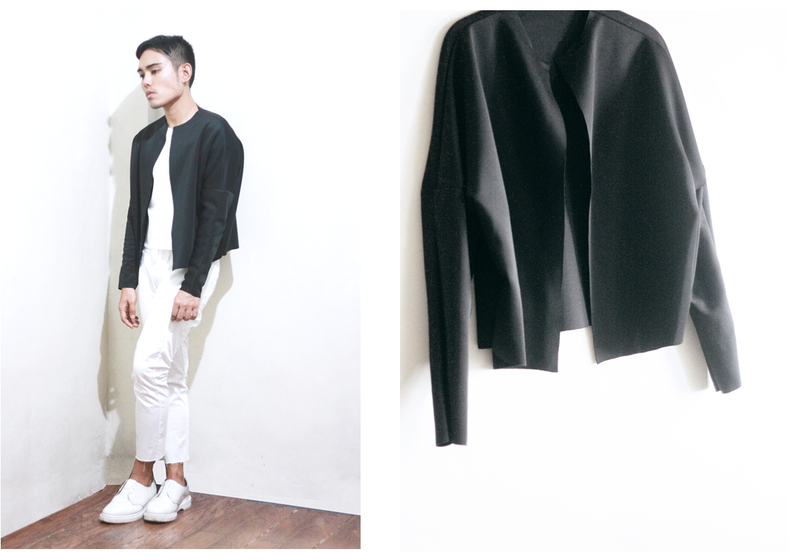 It is obviously light, making it layer-friendly and it's smart for packing too. I've had heavy coats and jackets for years and i am beginning to realize that you can actually make structured jackets in light materials. The coat, devoid of any zippers and heavy details, has now become my staple. 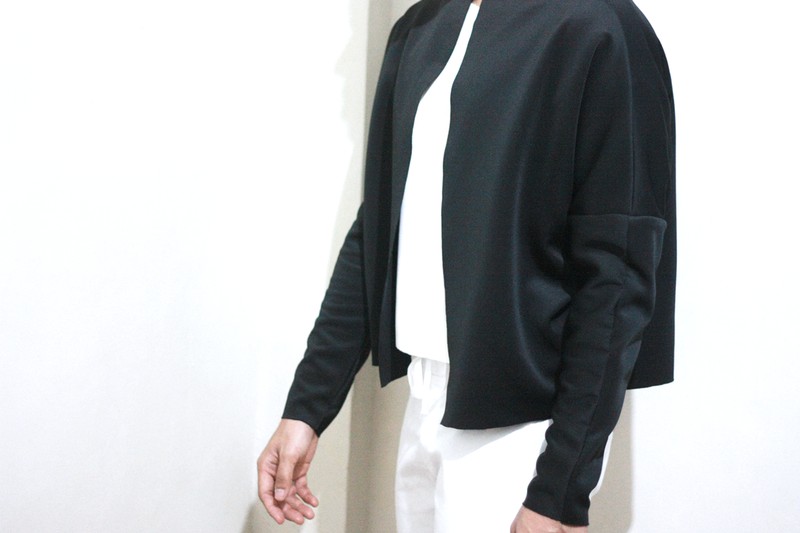 I found a much thicker scuba fabric and i am thinking of making another bomber in a bigger size soon. So excited for that! awww cyeoms thats the sweetest. thanks so much.. yes i'll be updfating you all..